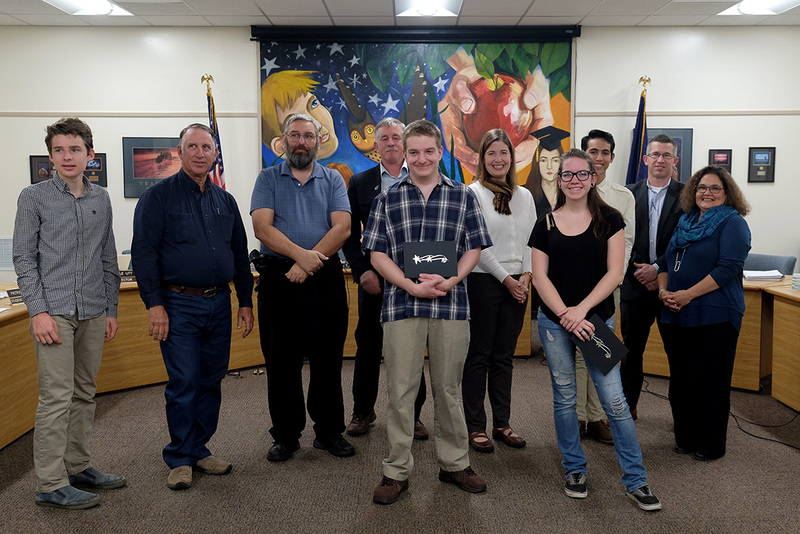 This week, the School Board honored Student All-Stars from Albany Options School for earning the highest scores on the Oregon Smarter Balanced state tests last spring. 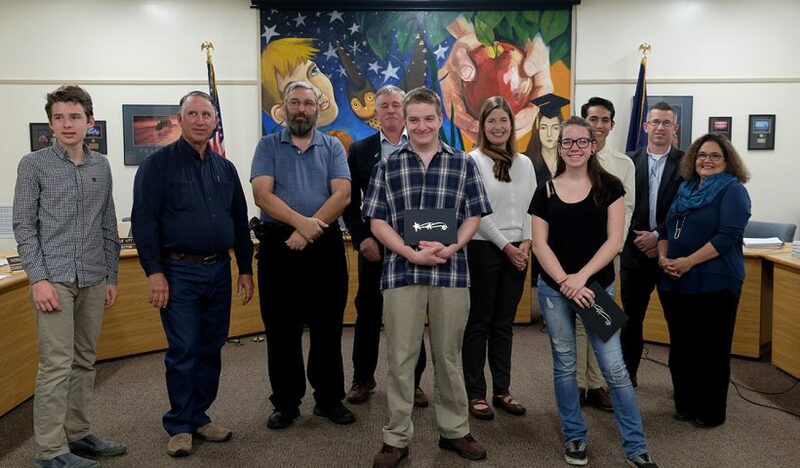 Andrew is a bright young man who has used his time at AOS to catch up on credits so that he will be able to start taking classes at LBCC later this year with the intent of transferring to a four-year college to attain his computer science degree. He is in leadership class, volunteers regularly, and earns consistently high grades and academic awards in all of his classes. Stefani came to us her sophomore year from out of state as a pregnant teen. She used her situation to motivate herself to not only make up credits, but to get herself back on track to finish early and is now enrolled in the LBCC automotive program. In addition to being an exceptional young lady, she is extremely smart, driven and a natural leader.